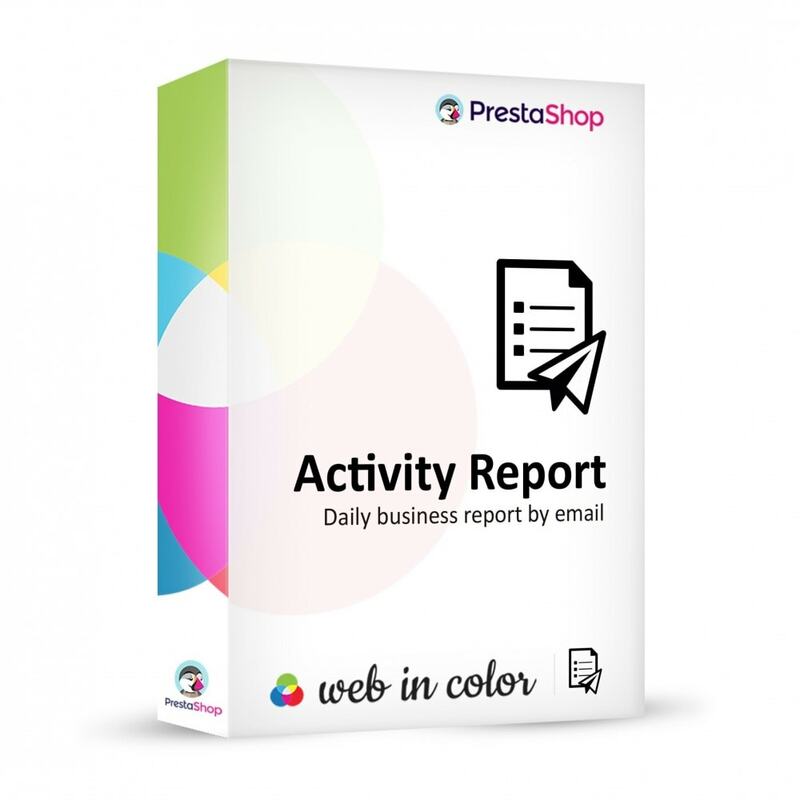 We designed this Activity Report module to automate and facilitate the transmission of key information from your website and better control your business day after day even if you do not have access to your Back- Office. Do not stress anymore business information comes to you with a daily report. Just set the module and enjoy receiving most important data from your business. Even if you can’t connect. Instal the module with only one click. 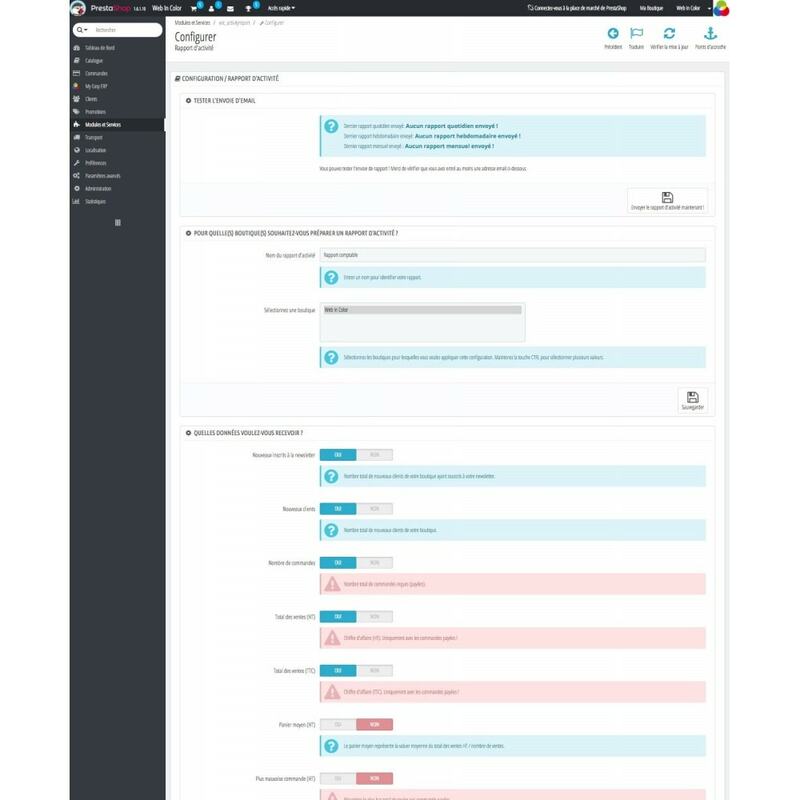 Generate as much different reports as you want. 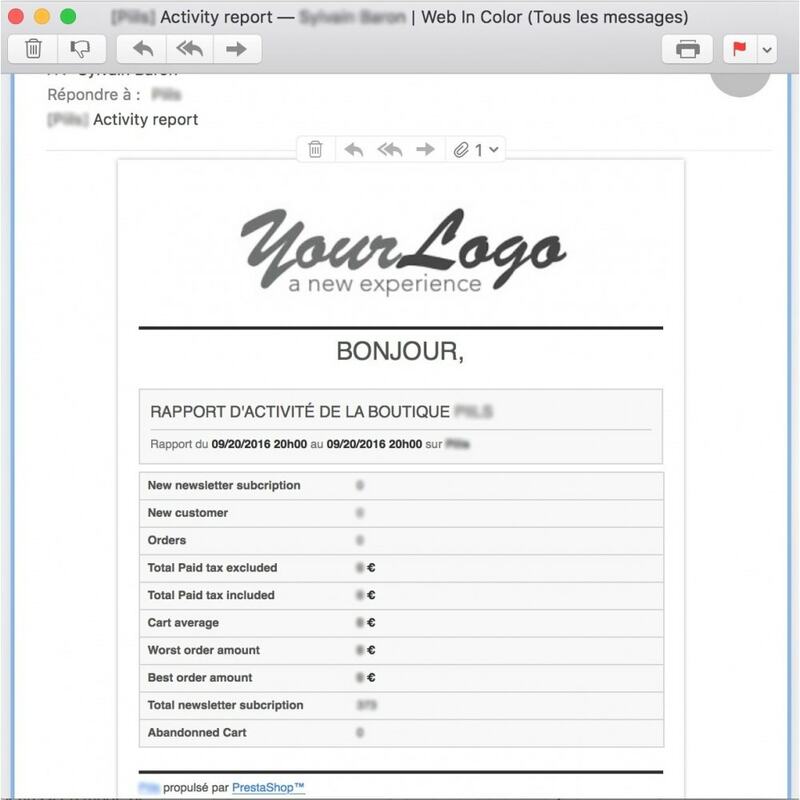 Receive email with important data and statistics everyday: sales, newsletter, carts, and more. Set the period (daily, weekly, monthly) and the time when you want to receive this email. Choose the information you want to receive form a list available in the setting panel. Set the mail address(es) and/or employee(s) you want to send the activity report. 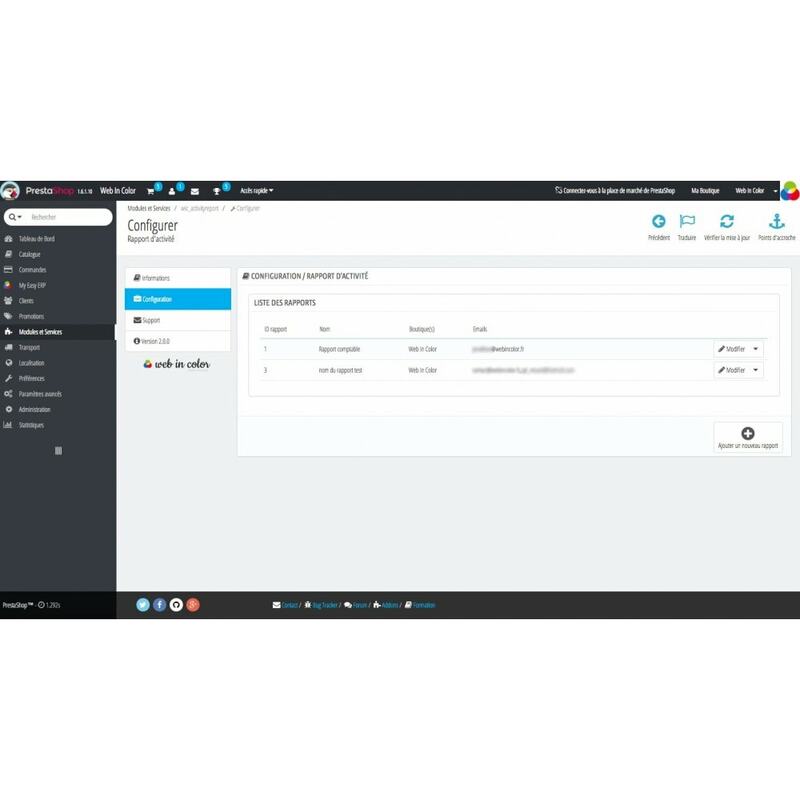 A button allows you to send a report every time you want and need. For security reason our demo website do not send activity report emails. This is a Back-Office module only dedicated to merchants. Verify your sending mails settings (server or extra service). Only 1 click and super friendly settings!